Newsifact: Quincy M.E. star spotted leaving Michael Jackson death scene. Quincy M.E. star spotted leaving Michael Jackson death scene. 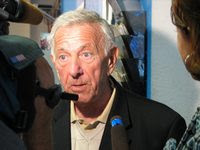 Quincy star Jack Klugman has been spotted leaving the Hollywood mansion where Michael Jackson died last week. 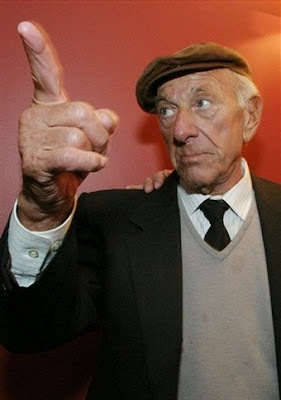 Klugman, who is 87-years-old, starred as a renowned coroner in the 1970s television series "Quincy M.E.". Klugman speaks briefly to reporters outside Michael Jackson's mansion. His appearance at the Jackson mansion has fuelled speculation of foul play in the death of the troubled singer last Thursday, although Klugman played down rumors that he had been brought in to investigate. "I'm just a retired actor now," said Klugman outside Jackson's home "Yes, I have some fictional experiences, but I don't really want to comment too much right now...I'm just looking around and don't want to say anything more until I have spoken with a toxicologist." Klugman tours the rehearsal stages. Later, Klugman was spotted touring the location where rehearsals were underway for Jackson's upcoming tour, but again declined to elaborate on his role. 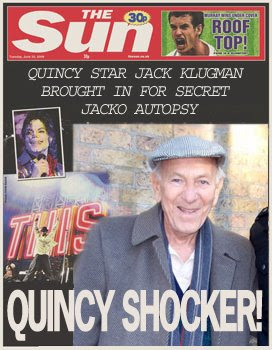 Neither the Jackson family nor the Los Angeles coroner's office has been willing to confirm that Klugman has been brought in officially to investigate the death of Michael Jackson.